“Queen Sugar” episode director Shaz Bennett and staff writer Mike Flynn gave CSU Dominguez Hills’ students key insights into what it’s like working in Hollywood, as well as their experiences in the media industry as a woman and a person of color at an event hosted last Thursday by Hollywood by the Horns. “Queen Sugar” is a show on the Oprah Winfrey Network now in its third season. It is a drama about three siblings’ fight to save their family’s farm and their community in Louisiana. It is based on Natalie Baszile’s book by the same name. Praised as one of the most racially progressive shows currently on TV, “Queen Sugar” won the NAACP Image Award for best drama in 2017 and is nominated for the same award this year. Bennett is a writer and director who has written on shows like “The Glades,” “UnREAL,” “The Faith Diaries,” “Bosch” and “Queen Sugar.” She made her directional debut on the feature film “Alaska Is a Drag” in 2012. Flynn is a writer and producer who has worked on “Detroit 1-8-7,” “Greenleaf,” “The Chi” and “Queen Sugar.” Outside of these shows, Flynn is developing other projects for film and television. After the screening, Toddy Eames, Hollywood by the Horns director and film, television and media assistant professor, began the question and answer part of the evening. 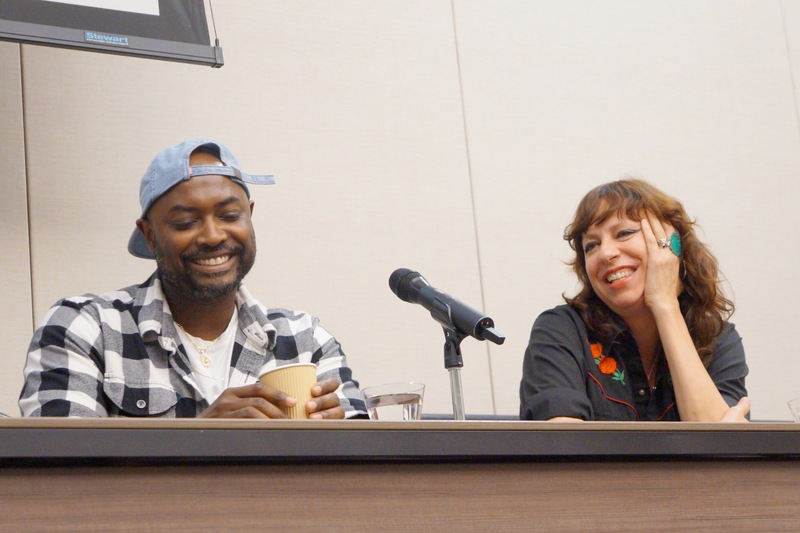 The audience was also given opportunities to ask questions, varying from which character is a fan favorite to what it was like working on the show. Flynn said that with each episode, he tries to “attach a pinch” of himself to the character. He also feels connected to each of the characters because he sees parts of his family within them. Bennett and Flynn were also asked about the major changes in representation that are taking place in Hollywood and in the film and television industry. Hollywood by the Horns works to bridge the gap between media industry professionals and students at CSU Dominguez Hills. While students learn insights about working in Hollywood, Bennett said the artists benefit as well. Mary Rodriguez, a business administration major, felt that these types of events are meaningful for CSUDH students. Flynn also thinks that events like these can have an impact on people and provide beneficial experiences for students interested in the media industry.